Many UK consumers will be taking advantage of Black Friday to seek out a bargain to kick off their Christmas shopping. But how can shoppers make the most of the deals they find in store and online on Black Friday and Cyber Monday? Use a price comparison website or app. On idealo.co.uk, consumers can compare the prices of nearly all the big ticket items on their families’ Christmas lists. Prices for everything from the latest smartphone to top toys, games and other tech items can be scouted out online to ensure it is bought for the absolute lowest price on the market. Tip: Download the idealo app (free) before hitting the high street. 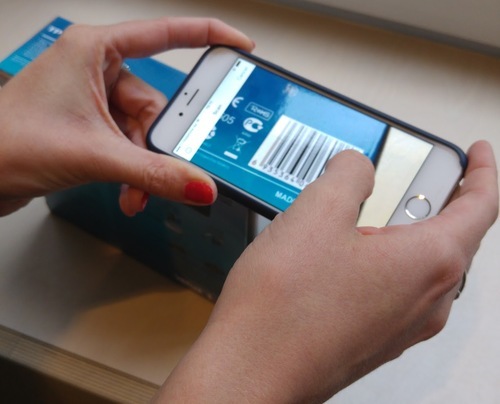 Use the barcode scanner to see if your purchase is cheaper online. Found a deal? Double check it. While Black Friday and Cyber Monday do offer consumers the opportunity to buy hot items at bargain prices, consumers should be vigilant that a deal really is a great deal. If the idea of battling the crowds on Black Friday is a daunting one then fear not. There are bargains to be found on a wide range of gifts right up until the big day itself, especially online. Once shoppers have their list sorted, visit idealo.co.uk and see which shop is offering the best price. If the current best price is still over budget, then setting a Price Alert is a great idea – you’ll then be the first to know when the price drops, so you can snap up that coveted present at a price that suits you. This press release was distributed by ResponseSource Press Release Wire on behalf of Idealo Internet GmbH in the following categories: Leisure & Hobbies, Personal Finance, Retail & Fashion, for more information visit https://pressreleasewire.responsesource.com/about.